That’s why we thought it would make sense to come up with a very subjective guide of our neighborhood. Get to know our personal Bergmannkiez favorites so you can easily spend a couple of entertaining hours here! Food – the most important thing in life, right? These are our favorite food spots you definitely need to try! Chapter One Coffee: experience seriously good coffee! Shops – Aside from of/Berlin there are a couple of really cool shops with high quality products in the area. Whatelse? 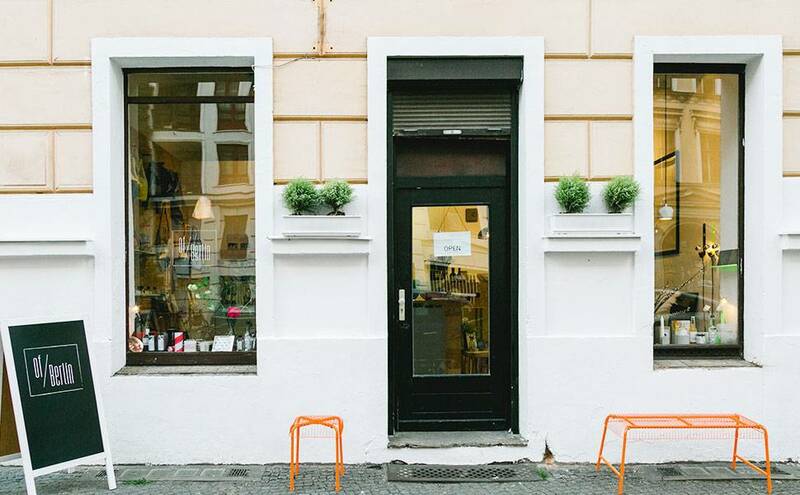 If you’re done with your stroll through Bergmannkiez you can either enjoy the nearby park, go for a walk or visit Marheinecke Markthalle for some croissants, beautiful flowers or just to enjoy the vibrant atmosphere there. So you see, there are so many things to discover and even more if you’re curious enough to take the smaller, hidden paths around Bergmannstrasse. And you know, we're always happy to have a drink (or two) with you at our shop. See you around!